Amid the smoldering rubble of once-welcoming suburbs and bustling metropolises, competitors in their vehicles of destruction battle it out in the ultimate demolition derby. Annihilating everything and everyone, these bloodthirsty contestants risk life and limb--all for a chance to have their single, greatest wish granted. Welcome to Twisted Metal. After over a decade, the granddaddy of car combat has finally returned to consoles with creator David Jaffe back at the helm. This reboot is the biggest and best of the series. The heart and soul of Twisted Metal is the over-the-top vehicle roster and the new additions feel right at home. Roadboat’s hood-magnet can attach foes to slam into objects or commit hilarious suicides off cliff edges. The Ecto-1 look-a-like Meat Wagon is a medical car that launches victims strapped to exploding stretchers, which can also be driven manually into enemies. Talon, a helicopter, is the first flying vehicle in the series and impressed me in particular with how easy it controlled and its ability to carry friends or toss foes is sure to make it a favorite. Old staples like Shadow, Warthog, Roadkill, and, of course, Sweet Tooth, make their triumphant return as well. Your driver can be chosen from one of four factions: Clowns represent Sweet Tooth’s gang, Dolls tag along with Dollface, Skulls roll with Mr. Grimm, and Holy Men follow The Preacher. It’s a hollow decision, though, as choosing a faction doesn’t actually add anything to combat. I’d much rather the vehicles had their own specific driver with their own personalities and history like in the old games. Longtime fans will feel right at home once they hit the battlefield. The arcade-style driving controls remain intact and have received significant tweaks to make them better than ever. Executing quick-turns and drifts feels tight and responsive. I rarely lost control on my own and cars don’t have the floatiness of Twisted Metal 1 and 2 or have the top-heavy physics of 3 and 4. The dinky mounted guns can now be swapped for variety of sub-weapons, including a submachine gun, a magnum, rockets, and more. Mapping the special abilities (freeze missiles, mines, and shields) to the d-pad is a huge improvement over the complicated button combinations of old. 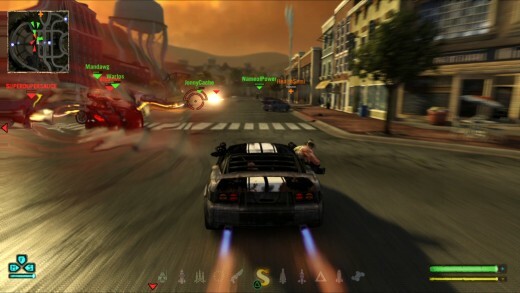 Newcomers may want to visit the training mode before entering the fray, as the combat-focused controls can be rough on players accustomed to only contemporary driving games. Eagle-eyed players will love the new sniper rifle. Lining up the laser sight on an opponent accurately enough allows for fatal shot to the driver, equating to an instant kill. The sniper works surprisingly well, helped by the fact that you can now aim your weapon reticule with the analog stick. The shotgun is of course excellent close range weapon, and is a nice addition to a traditionally long-ranged focused arsenal. Remote mines can now be thrown and come equip with a very nifty camera that displays enemies nearby so you’ll finally know exactly when to detonate it as opposed to randomly guessing. Staples like Fire, Homing, and Power missiles make their comeback as well. 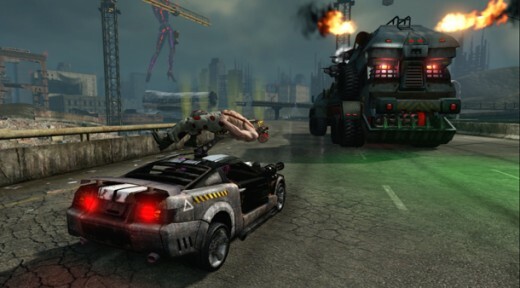 Twisted Metal shines brightest when you’ve got buddies in tow and an arena-full of cars. Wreaking all manner of vehicular mayhem in 4-player splitscreen is a blast. Stages are fully destructible and plowing through movie theaters and leveling entire neighborhoods is incredibly satisfying. Stages vary from canyon highways to the rooftops of a city skyline. Standout arenas like the Thrills and Spills amusement park and the death trap-infested Blackrock Stadium are among the best in the series. When you’re not demolishing everything in sight in splitscreen, you can duke it out with up to 16 players online alone or with a buddy locally. Nuke Mode is one of the more creative online offerings. 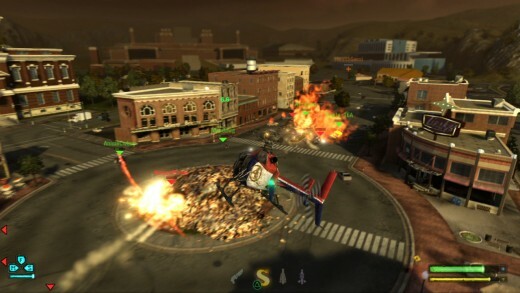 Two factions battle it out to destroy the opposing team’s giant statue, which is suspended in the air. 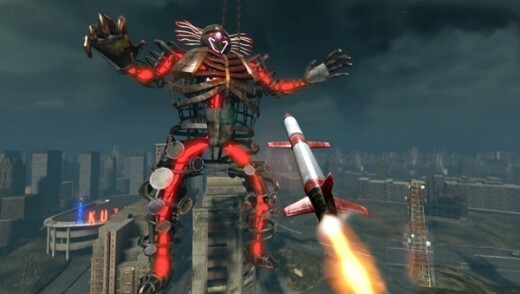 To do so, you must capture the enemy team’s leader to sacrifice to a rocket launcher, which in turn launches a nuke at the opponent’s statue. It’s as ridiculous as it sounds and it’s a ton of fun. Hunted pits a chosen car as the only one capable of scoring, so everyone must seek and destroy that car so that they can become the Hunted. As entertaining as those modes are, however, nothing beats the pure, chaotic fun of a good old fashion 16-player deathmatch and playing against real people beats bots any day. Unfortunately, the same praise can’t be said for the story mode. The insane and oft times disturbing campaign follows Sweet Tooth, Mr. Grimm, and Dollface in three separate storylines as they battle for a chance to have their one wish granted by the mysterious Calypso. Playing through every character’s story and finding out what cruel and ironic twist their wish brought was one of my favorite things about the old Twisted Metal games, so being limited to only three is a big letdown. Despite that, the campaign itself is enjoyable for the most part, as you compete in deathmatches and more under a myriad of wild stipulations. The enormous, multi-leveled boss fights are especially awesome and makes the old battles against Dark Tooth and Minion seem simple and uneventful by comparison. One huge complaint about the campaign is the atrocious racing segments. These races are essentially deathmatches that are funneled through an invisible tunnel and frustrating beyond belief. Twisted Metal controls are designed for chaotic combat, not the precision that standard racing requires. Driving too fast either sends you into off course or flying off ramps, causing you to miss checkpoints (Faster cars are the ONLY way you’ll win these, by the way) and driving more carefully more or less ensures defeat. Adding to the frustration is that missing too many checkpoints causes you to instantly die. Checkpoints are also poorly laid-out, meaning you’ll be losing your way more often than not. What’s most annoying is that you’re constantly being blown off course by someone or something and you have to backtrack a significant distance to get back in the race. Races are a huge blemish on an otherwise solid experience and I’d rather take a Power missile to the groin than play them ever again. 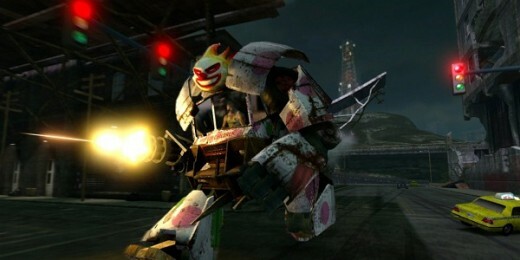 Twisted Metal release almost feels like an experiment on modern gamers. Car combat hasn’t been a prominent genre since the PSone generation and it’ll be interesting to see if it can still find an audience in today’s gaming climate. 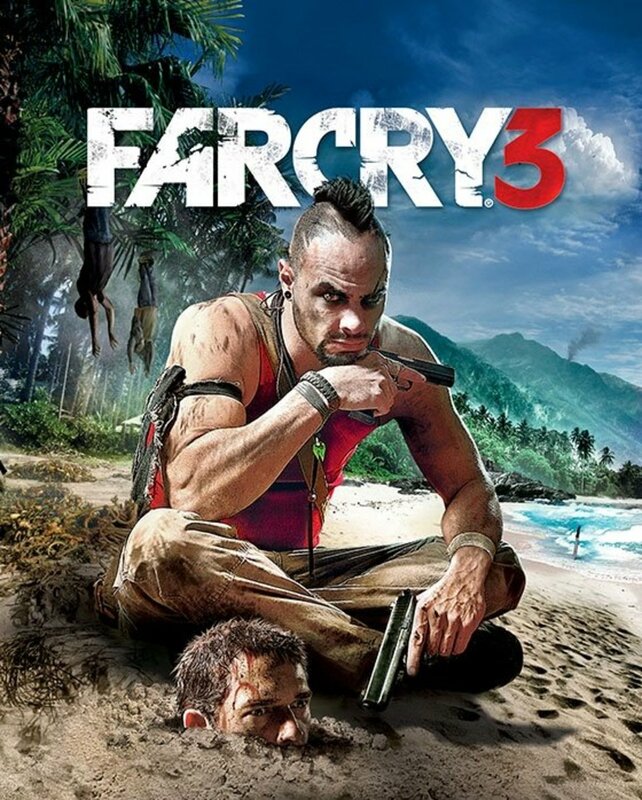 Hopefully this generation of gamers will have the same love for this series as I do, so that this won’t be the last we see of it. If you’re a fan of the series, this game is a no brainer. To curious newcomers, know that Twisted Metal is unlike anything else out right now and could be the game you’re looking for if you’re yearning for something different. The game takes some missteps, but when it’s just being Twisted Metal, it’s the best it’s ever been.